Those looking forward to playing The Division in a few weeks will be pleased to know that Ubisoft have today announced a few new features you can expect to enjoy once the game has been officially released. New features include player trading, as well as raid-like “incursions” that will test your skills and teamwork to the max. Ubisoft has also announced that there will be free post launch updates that will bring the new features to players as well as more content to enjoy. During April of this year Ubisoft will be rolling out the first incursion that has beenDescribed by Ubisoft as “a new challenging end-game activity developed specifically for squad play”. During May of this year players can expect to enjoy the addition of the looped trading where players in the same group can trade rewards gained in the cooperative sections. As well as the second incursion to the game, plus more Dark Zone content. check out the videos below to whet your appetites. The Division takes place in mid-crisis New York, an open world with destructive environments that is free for players to explore. The player’s mission is to restore order by investigating the source of a virus. 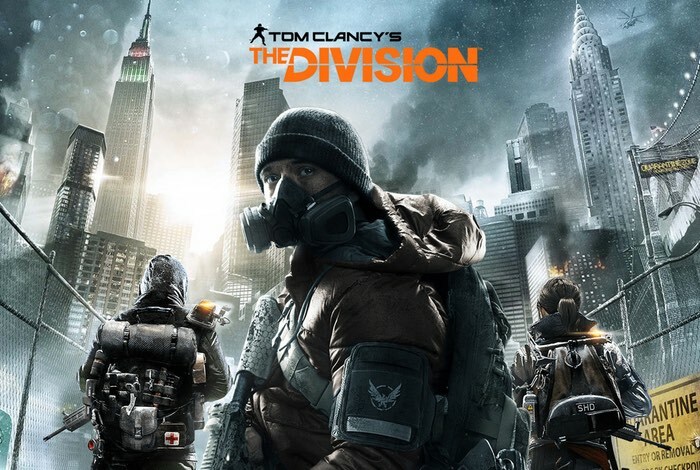 Players have to team up with other Division agents as they progress. The game’s core mechanics are similar to other third-person-shooters, in which player character can carry three weapons, and explosives like sticky bombs and smart mines to fight against enemies.